Celebrates 25 years in style. Vote for the game you want for free. First to live in the Aimo 'ecosystem'. 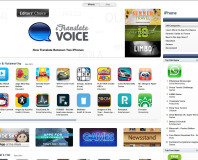 Several top iOS apps are currently free, seemingly in celebration of 5th anniversary. 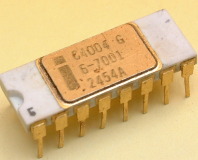 It's 40 years today since the Intel 4004 launched - the first commercially available CPU. 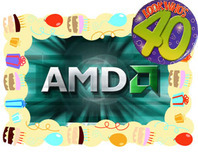 AMD will be 40 years old on 1 May 2009, and is celebrating by giving away loads of prizes in video and photo competitions. Ian Livingstone of Eidos reveals that the new Tomb Raider game is well into development and that he's much happier with the new developers. Eidos confirms rumours that Tomb Raider: Anniversary will be appearing in an episodic format for the Xbox 360. Tomb Raider: Anniversary is a nostalgic remake of Lara Croft's original subterranean adventure, so join us as we walk down memory lane and test out the PS2 version. The new remake from Eidos, Tomb Raider: Anniversary, will see a release on Steam come June 1st. The month of May is drawing to a close, and so it's time to take a peek into the forums for another look at the project logs. Today marks the official 40th anniversary of video games, begun way back when two engineers played "The Bucket Filling Game". 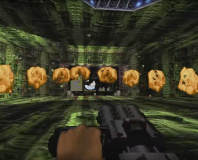 Amazing to think that we got from that to Crysis in only forty years. On this day in 1995, the researchers at Germany's now famous Fraunhofer Institute voted unanimously to use .MP3 as the file extension for the new MPEG Audio Layer 3 format. They took the rest of the week off.